Reimar Belschner: Reimar is 24. He is studying history, political science and German studies at Heidelberg University. Additionally, he was a visiting student at Queen’s University, Canada, and he completed a master’s degree in modern languages at Oxford University. He is looking forward to contributing his manifold experiences to the Harvard World MUN delegation 2015 and is thrilled to put the various skills and knowledge he has gained inside and outside university to use. Having been involved with MUN since highschool, Seoul will be his largest and most international MUN conference. Lukas von Brasch: Lukas is 20 years old and is studying law. Before switching to Heidelberg, he studied internation relations at IEP Paris, a field he still follows with great interest. He is looking forward to Harvard World MUN as for him it is an ideal opportunity to discuss current international problems in an international atmosphere and have and intercultural experience with students from all around the globe. Angela Curia: Angela is 26 years old and is currently studying translation (German/English/Spanish). Before moving to Heidelberg, she trained to be a classical singer and completed a bachelor's degree in opera performance at Central Washington University in Ellensburg, WA. She is thrilled to attend Harvard World MUN and greatly looks forward to the exchange of ideas, lively debate and meeting people from all over the world. Celestine Fünfgeld: Celestine is 22 years old and studies history and politics. Before coming to Heidelberg, she started studying industrial engineering at the DHBW in Stuttgart and law at the University Viadrina in Frankfurt (Oder). She is looking forward to the international environment of debate presented by Harvard World MUN and is excited to meet students from all over the world. Sarah John: Sarah is 24 years old and currently finishing her master's degree in economics after previously studying international economics and european studies at the University of Tübingen. Interested in a variety of fields from languages and cultural studies to psychology and political sciences, she is looking forward to learning about new cultures and debating and solving the economic, political and social problems of our beautiful earth. Leonhard Küntzle: Leonhard is 24 years old and studies for his master's degree in economics. Previously, he completed his bachelor's degree in economics and business as well as a minor in law and economics at the University of Amsterdam. He has always been interested in international politics and is eager to attend his first international MUN conference. Jeremy Schmidt: Jeremy is 19 years old and studies medicine in the 3rd semester. 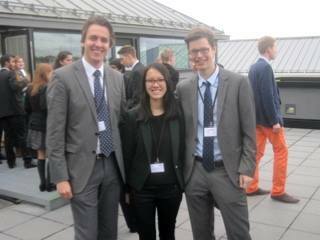 He as attended various MUN conferences in Germany and has always enjoyed the spirit. He is looking forward to trying it abroad, in an even more exciting framework with students from all over the world. Juliana Tran: Juliana is a 19 year old Law student in her 3rd semester. After participating in various MUN conferences in Germany, she is eager to apply her experiences at a higher level. She is excited to discuss international topics, negotiate with students from all over the globe and get to know the different cultures involved. Valentin Weigel: Valentin is 22 years old and studies law with a focus on international public law in his 5th semester. After participating in the WTO Moot Court in 2013/14, he developed a deep interest in international relations. He is looking forward to Harvard World MUN as a great opportunity to experience intense international negotiations and different points of view. Lutz Mager: Lutz is the Faculty Advisor of our delegation and the brains behind the whole operation. 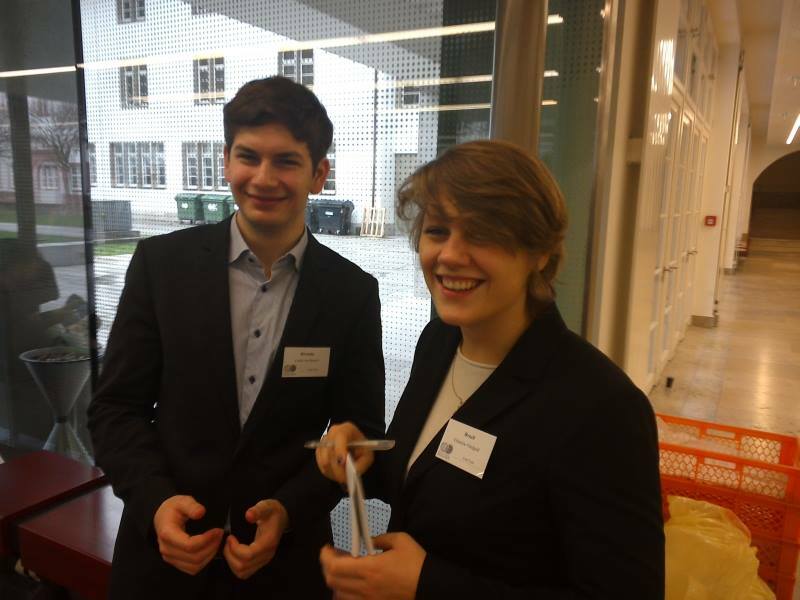 Having accompanied various delegations to previous MUN's as well as organized conferences in Heidelberg, he brings the expertise and know-how on how to prepare for such a trip. When he is not planning the next MUN project, he works as a legal advisor at the Ministry of Science, Research and Arts Baden-Württemberg. We all are very excited to go to Seoul and participate in Harvard World MUN, the "Olympics of MUN"! !